Researchers enrolled 47 overweight men and women into a six-month weight loss clinical trial that used electronic scales that were networked to the Duke University researchers. All subjects were instructed to weigh in daily and were given some basic advice about healthy eating and exercise behaviors (i.e., increase water consumption, walk more, eat fewer snacks, enjoy more fruits/veggies). 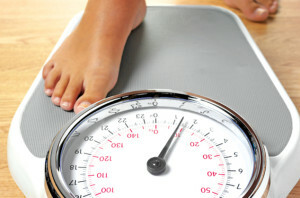 Using data from the e-scales, the researchers could objectively follow the weights and how often subjects weighed themselves. Previous studies have relied on subjects’ self-reported information about weigh-ins. After six months, the researchers evaluated the weights and body compositions of all subjects and found that those who weighed in daily (51% of all subjects) lost an average of 20 pounds, compared to about 7 pounds lost among those who weighed themselves about five days per week. Subjects who weighed themselves daily were also more likely to report following through on more healthy diet and lifestyle behaviors. This study adds to previous studies that also reported that those who weigh themselves more frequently lose more weight and are less likely to gain weight over time. As a dietitian, I’ve always been hesitant to recommend get obsessed with the number on the scale, but newer studies suggest that it’s important to keep tabs on your body weight so that you can alter behaviors when you notice small increases in weight gain. 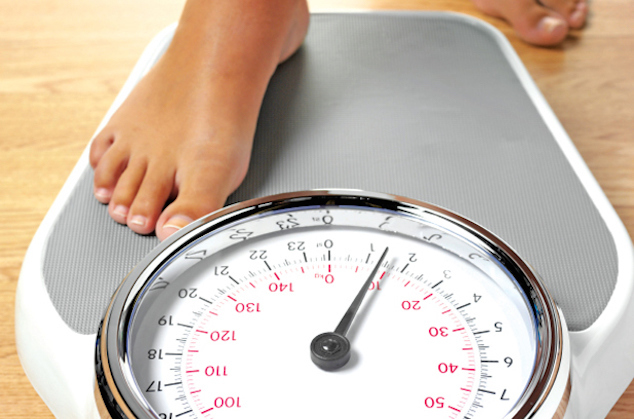 It’s a lot easier to lose 3 or 5 pounds than it is to lose 20 or more, so frequent weigh-ins are one way to keep your weight stable for a lifetime. When you start to see some positive progress, try a Monday, Wednesday and Friday or Tuesday, Thursday and Saturday weigh-in schedule. Once you get into the habit of weighing yourself three days a week, just make it part of your morning routine—like brushing your teeth. If you want to know how much your clothes weigh, read this. Whatever you do, don’t beat yourself up or get down about the number on the scale. Consider the number an objective measure of your eating and fitness behaviors. It’s just information that you can use to reach your healthy weight goal.